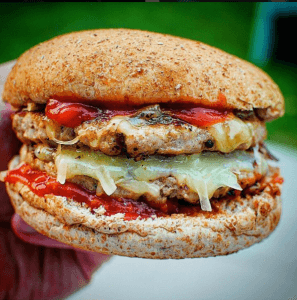 SAM CHARLESWORTH – PROTEIN CHEESE BURGER GENIUS! Sam, tell us a little more about your health/fitness/wellbeing focus. How you got started, and how you stay motivated? Having played football at a very competitive level in my younger years, unfortunately due to troublesome knee issues, I had to put time on my playing days and subsequently that was when i first joined a gym, and started working out with my brothers. 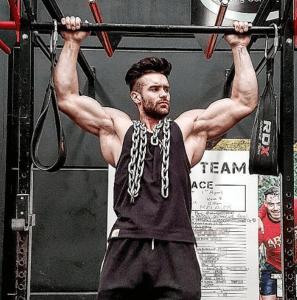 In regards to keeping and maintaining motivation with the health and fitness aspect, I’m competing in a Physique class later on in the year, something I’ve wanted to do for a while; so i guess bringing my best package and showcasing it on stage is whats driving me at this point in time. I was approached by George Heler (Founder, Eatlean) asking if i would like to sample a slab of the cheese (through insta). I didn’t think twice, and was very humbled to be asked! As a new member of our team of Male Ambassadors what does it mean to represent the wider community of people focused on health/wellbeing/fitness? Its very important to be able to showcase products in the health/fitness umbrella that can seamlessly fit into peoples diets without them feeling guilty or thinking that they may be cheating their meal plans etc. Finally, we’re dying to know what your favourite #ProteinCheese recipe is? 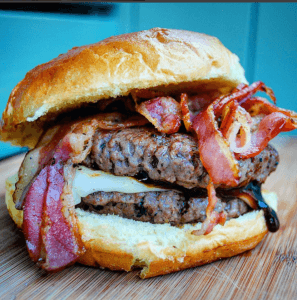 It has to be using #proteincheese melted on a tasty Burger, as a replacement for the congealed cheese slice rubbish!